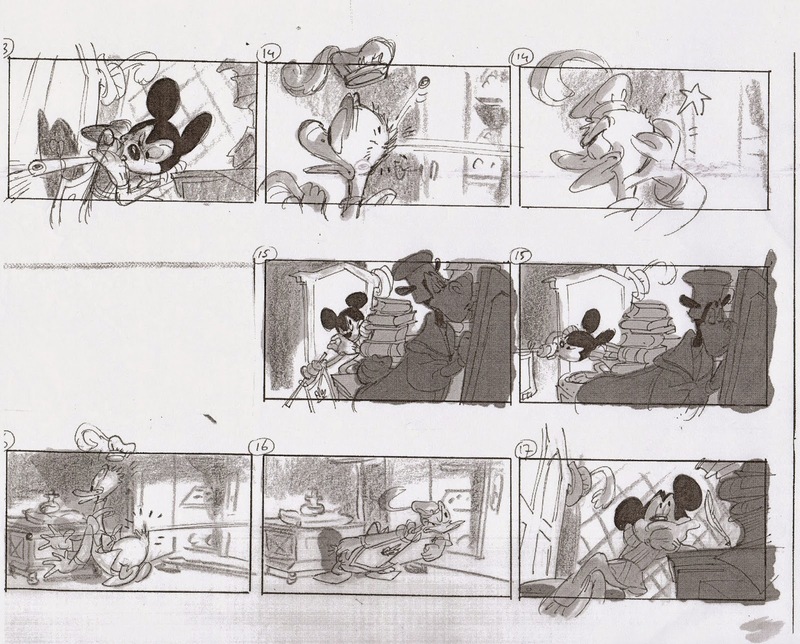 Famous Dutch Comic artist Daan Jippes worked at Disney Animation for a few years on movies like Beauty & the Beast and Aladdin. 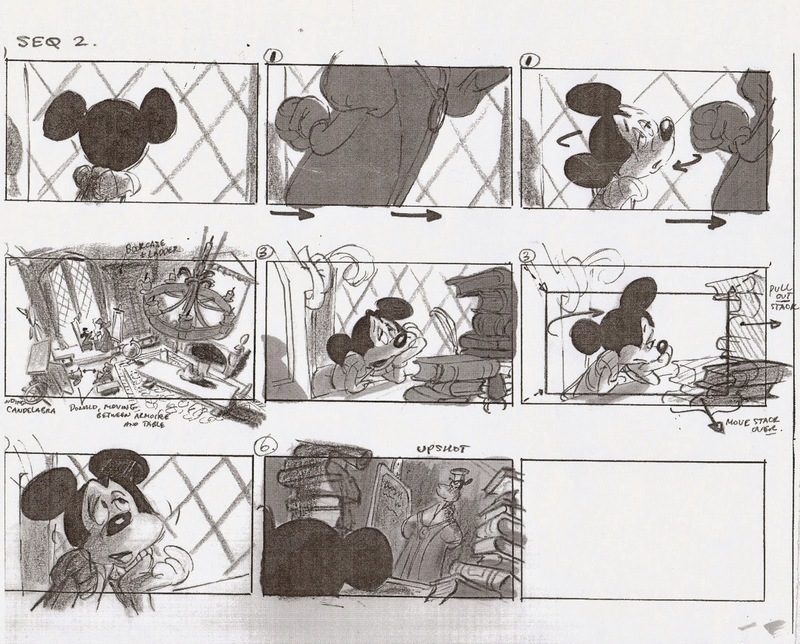 He also did storyboards and character designs for the 1990 Mickey Mouse featurette The Prince and the Pauper. 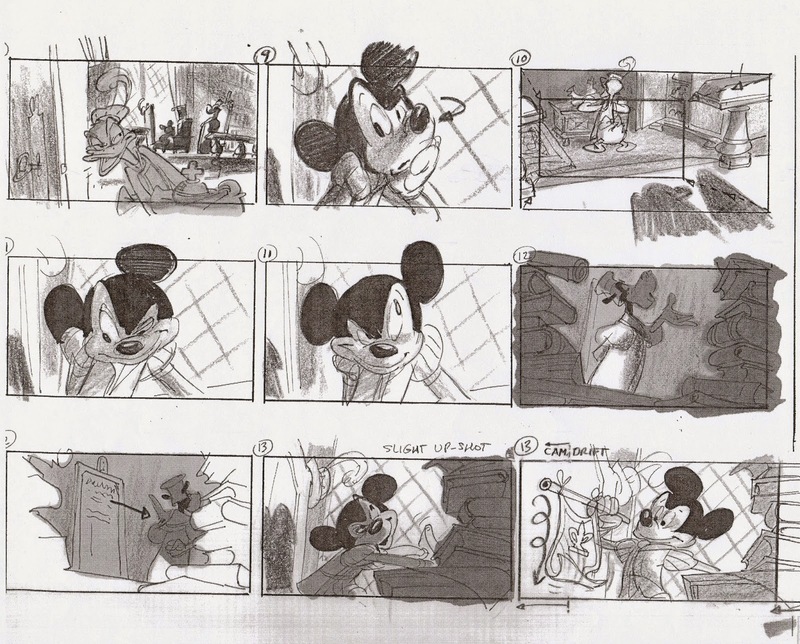 These are his story sketches for sequence 2, which shows Mickey being schooled by Horace Horsecollar. Not interested in the lesson at all, he prefers to tease his valet Donald Duck. 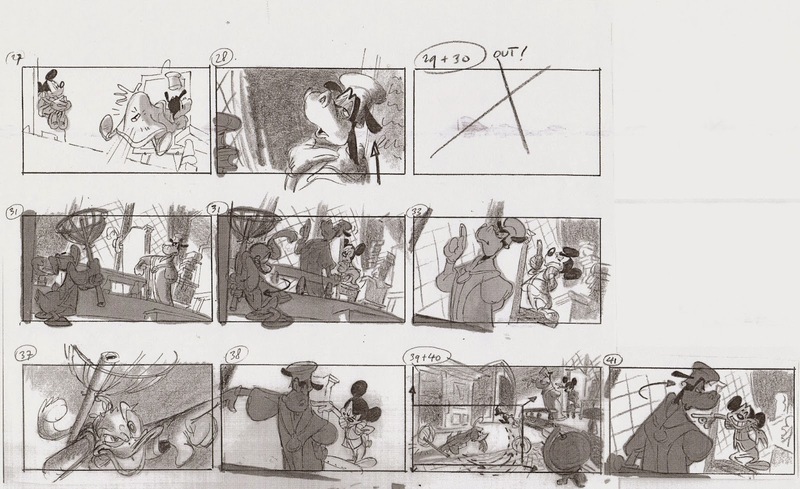 Dale Baer animated most, if not all of these scenes. 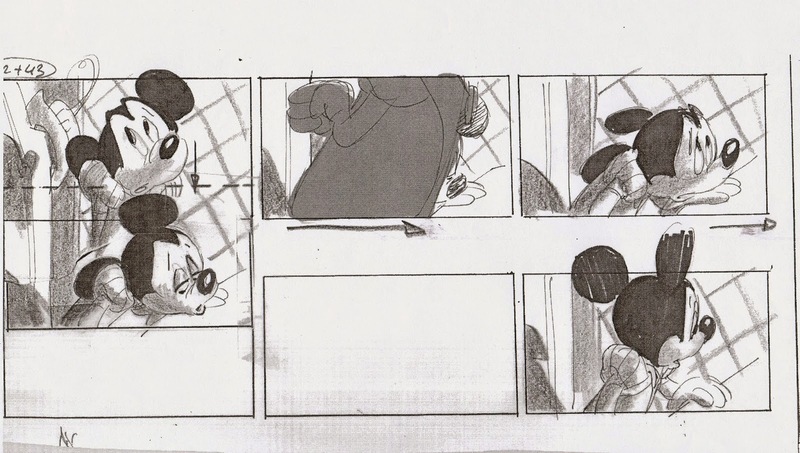 I don’t know any other artist who draws classic Disney character in a more lively and appealing way. Every pose is pushed, drawn from interesting angles, full of personality. 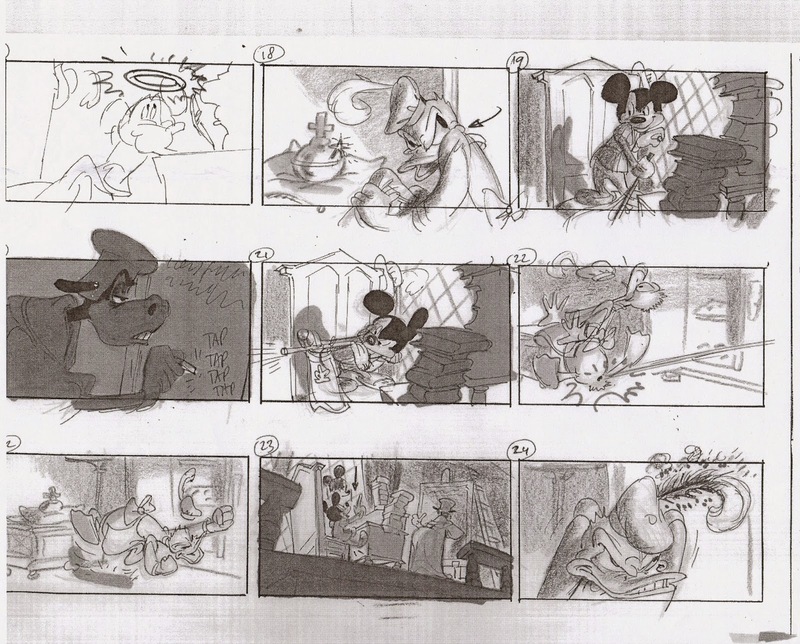 Daan’s work has the kind of rhythm and flair you see in vintage Disney comics as well as short films. 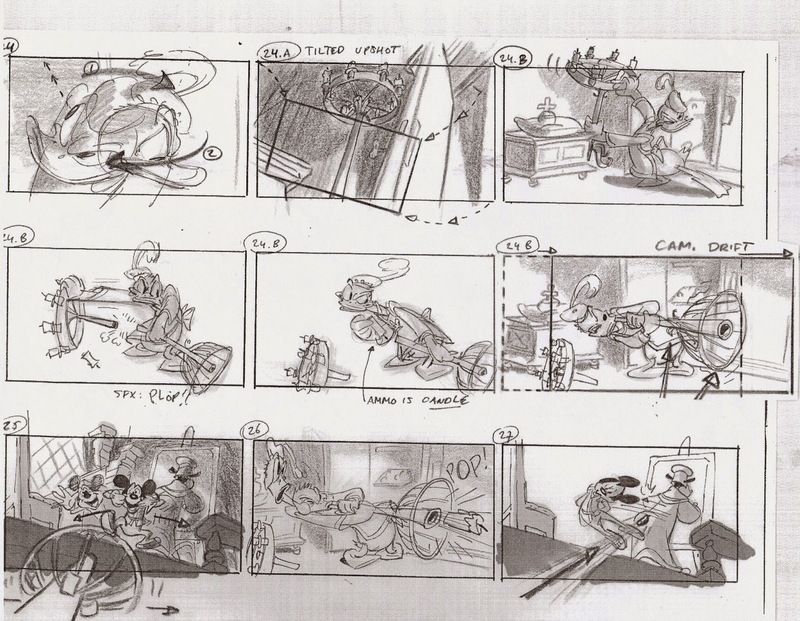 His boards were always a great springboard for the animators. 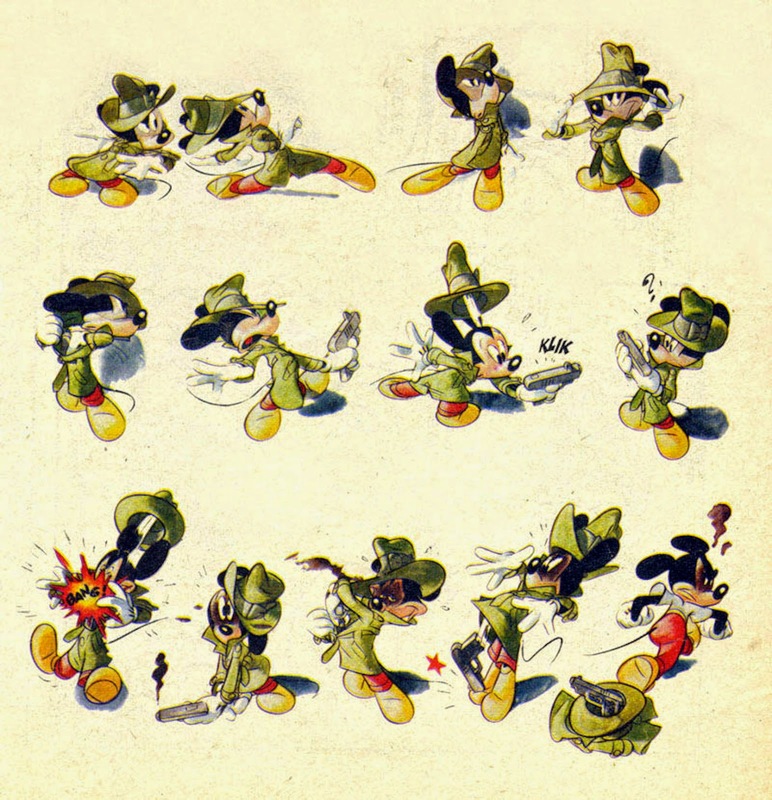 Look at these tremendous, dynamic poses he drew for a little continuity sketch with detective Mickey.